Measurements: 36" x 43". 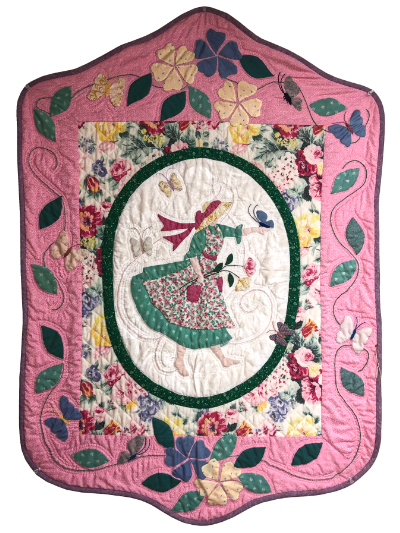 This original Piecemakers design is from our Seasonal Girls pattern collection. All hand appliqued and hand quilted. Pattern available; there are four in the series.